The easiest and most effective way to learn the principles of probabilistic modeling and statistical inference is to apply those principles to a variety of applications. 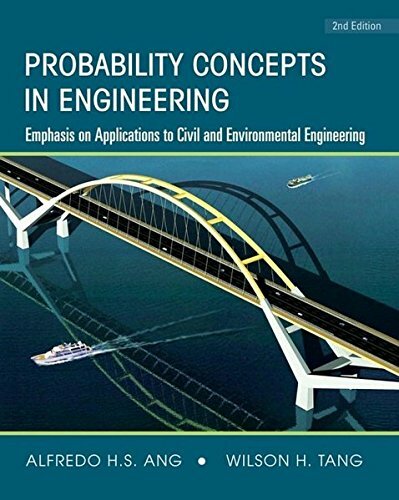 That’s why Ang and Tang’s Second Edition of Probability Concepts in Engineering (previously titled Probability Concepts in Engineering Planning and Design) explains concepts and methods using a wide range of problems related to engineering and the physical sciences, particularly civil and environmental engineering. * Introduces and develops analytical probabilistic models and shows how to formulate engineering problems under uncertainty, and provides the fundamentals for quantitative risk assessment.